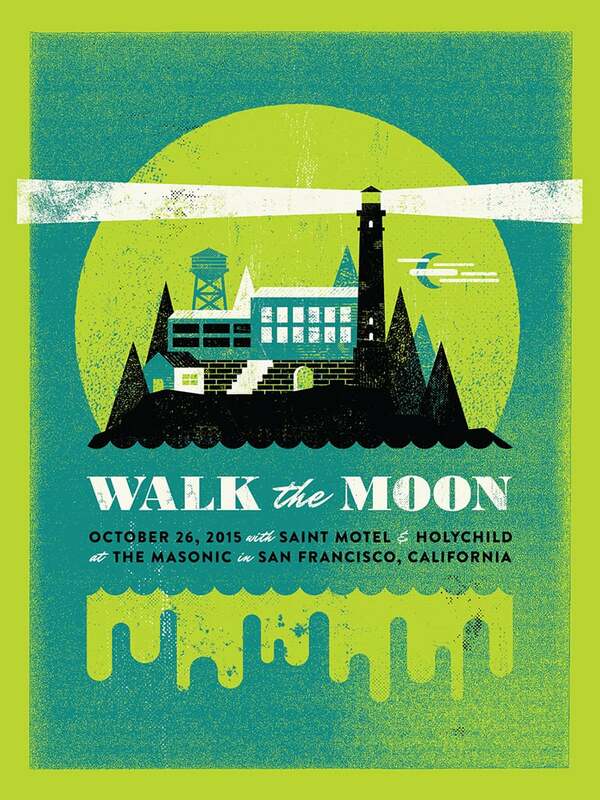 I'm thrilled to reveal my latest Walk the Moon poster, for their concert tonight at The Masonic in San Francisco. The show is only a few days before Halloween, so the guys in the band thought it would be fun to illustrate one of SF's creepiest landmarks: Alcatraz! 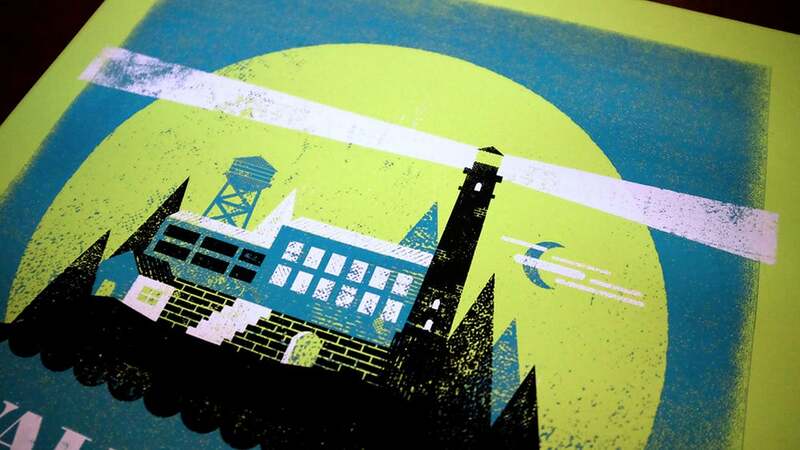 The posters are three-color screen-prints on French's Shocking Green paper, limited to 135 copies. You can buy one at the show tonight, or first thing tomorrow in my online store. My poster for Walk the Moon's New York show is still available, as well!